I am very lucky to have a line up of some very special instruments. The accordions I play and collect are mainly classic instruments along with one modern Victoria Poeta. One might consider these instruments to be a few of the stradivarius’ of the accordion instrument family. If your not already laughing at my obsession, please feel free to continue reading on.. 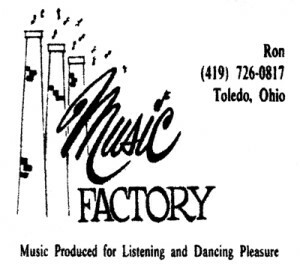 The Music Factory – Click to play video! 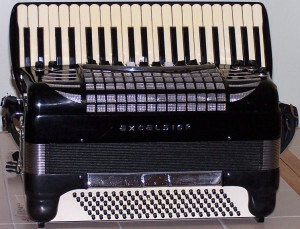 often played what was called at the time ‘organ accordions’, and brands like Iorio, Duovox, Elkavox, and certain Castiglione’s were used. Comparing to today standards of ‘organ clones’ the reproduction of the Hammond B3 with these instruments was quite poor, but actually unique in itself giving the ‘polka’ organ sound sort of a thing of it’s own..
Excelsior Symphony – Thanks to the Accordion Gallery for the use of the photo! 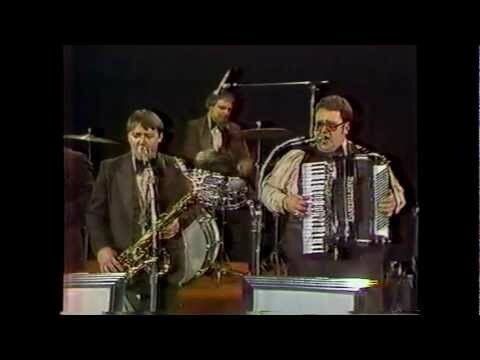 For some reason, the sound of my fathers accordion always intrigued me because it was so powerful. 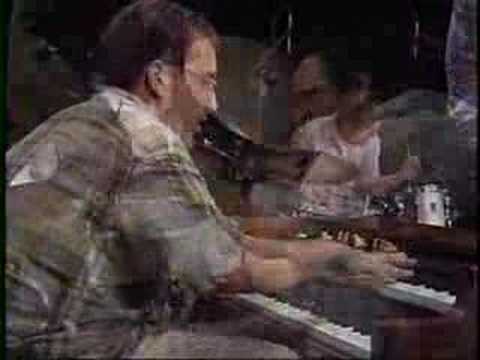 The Left hand reeds on his non-chambered Excelsior, to this day are the most powerful and purest sound I have ever heard from an Excelsior Symphony, AC, or 911. He mainly played a LMMH 4/6 reed, 120 bass, dry tuned, Excelsior Symphony without a tone chamber. I do believe though his second set of middle reeds were tuned by Cleveland style accordion tuner extraordinaire Don Krance who created an ever so slight musette. The reason I can call that particular instrument nearly dry tuned is because in a “true” cleveland style tuning the reed configuration is setup with three middle reeds. (MMM) The first middle is “in tune” with usually the Low reed, lets say, ‘most’ in tune or the base pitch. The second middle reed is tuned slightly sharp, almost dry tuned, and not nearly as sharp as a French tuned instrument. The Third middle reed is then tuned slightly sharper than the second middle creating a nice cleveland style tuning. 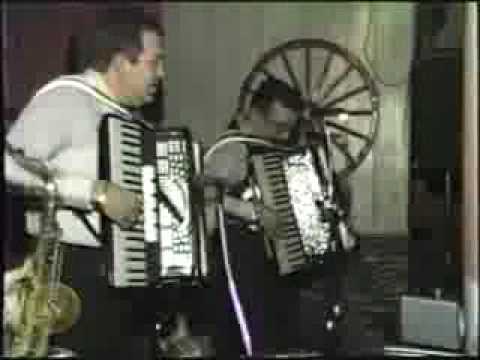 Gaylord Klancnik & Joe Fedorchak playing “Cleveland tuned” Polka Accordions. 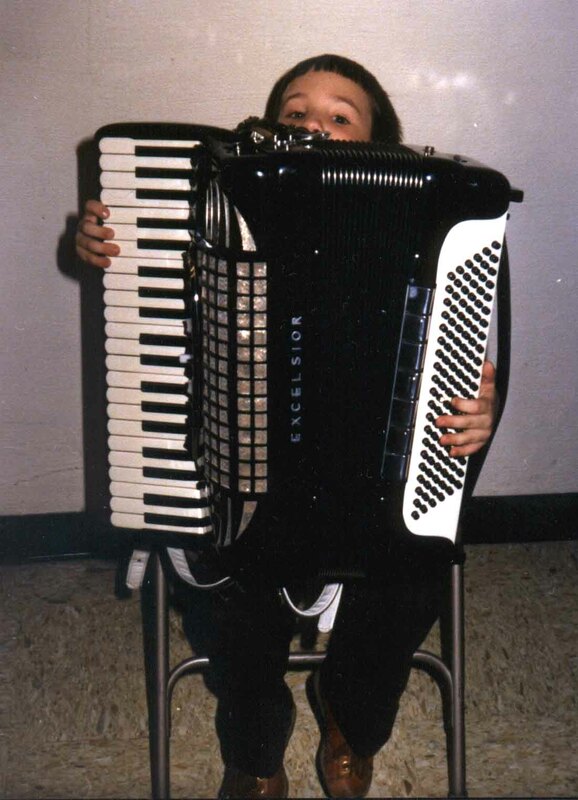 Still not knowing much at that time about what made accordions different, it was only a matter of time, until my serious interest started. I had to know how and why these instruments sound and play so differently.. It’s a little like playing a good piano verses a bad piano however much more involved. 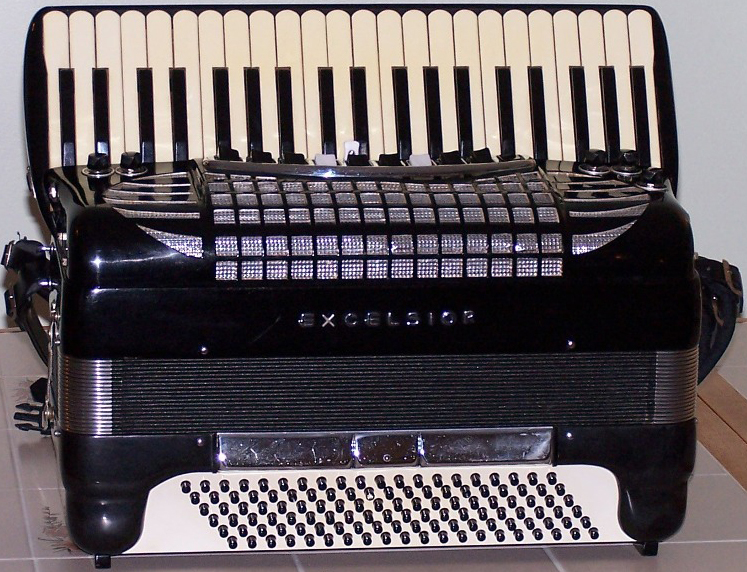 An accordion can have many different variables as my example above describes only one, beyond just good and bad. Everyone has there ‘idea’ of an accordion and unfortunately the instrument over the years gained a poor image due to the “schmaltz”. That, I believe, was created by two things; a poor sounding instrument, and the fact that many accordion players in years past and today have never gone beyond using the instrument in an ‘um-pa’ style of playing. The left hand of a standard 120 bass stradella accordion is setup in such a way that makes it very easy to play ‘ um-pas’. 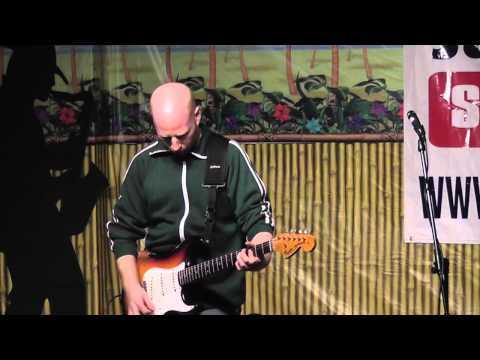 If the player never expands there knowledge of harmony beyond basic 1, 4, and 5 chords to include seventh and altered chords, the development of the left hand harmony and style of music to play with these harmonies stops. The sound of many accordions is also what gives it a bad rap..
Accordion reed block with Tone Chamber. Thanks again to the Accordion Gallery for the photo. traditional ‘ethnic music’ musicians. Jazz and contemporary players often resort to dry-tuned (no musette), tone chambered instruments. 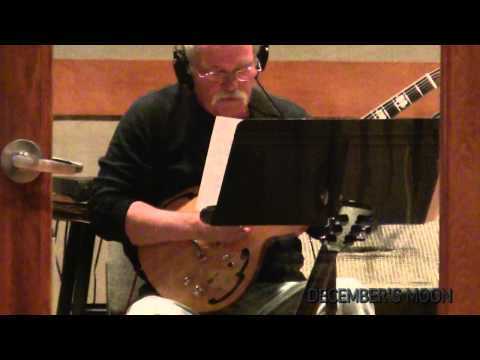 To me, the tone chamber is one of the most important parts to be included in an accordion, or at least for the sound that I typically look for when i’m playing jazz on the instrument. The chamber allow, in a normal tone chamber accordion, two of the reed block, (LM) to send the sound into a chamber before being released out the valves and then the grill. The chamber makes the sound much warmer and richer. Q: What’s a tone chamber? 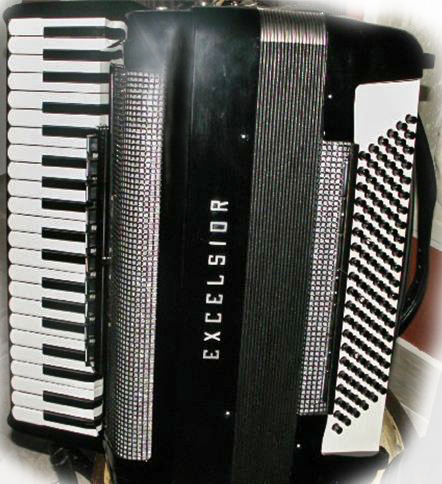 A: Also called a “cassotto,” a tone chamber is a second long wood or aluminum box inside the accordion. One or two of the reed banks are mounted inside (usually the clarinet or middle octave reeds and/or the bassoon or low reeds). The chamber takes the metallic reedy edge off the sound. Sometimes in case of the “clarinet” reeds (that often come as a pair of reed banks on larger instruments), one bank will be in the chamber and one outside so that the player has a choice. Tone chambers add to the weight and expense of an accordion. I thought the video to the right of the four musette tunings was a nice way to show an example of varying degrees of musette. There are various degrees of french, italian, cajun, dry, cleveland polka, tex-mex, irish, contra, french canadian, and probably a bunch of other subcategories of each. If a player is a musette accordion when a ‘dry’ tuning is more appropriate, it might just sound dead wrong. 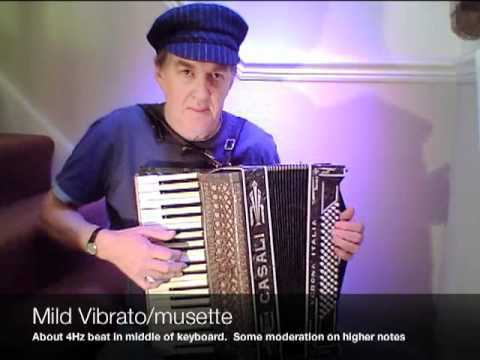 Or if an accordion isn’t really in tune, creating an unwanted musette, can also cause the police to hand out violations..
Tuning, size, key range, and reed configurations depending on musical styles alone can create many different varieties of accordions. There’s musette tuning’s for French, Italian, Solvenian, and German music as well as dry tunings for concert and jazz players. These tunings are created by various reed configurations and the amount of ‘out of tune’ they are with each other in order to create these different musette flavors.